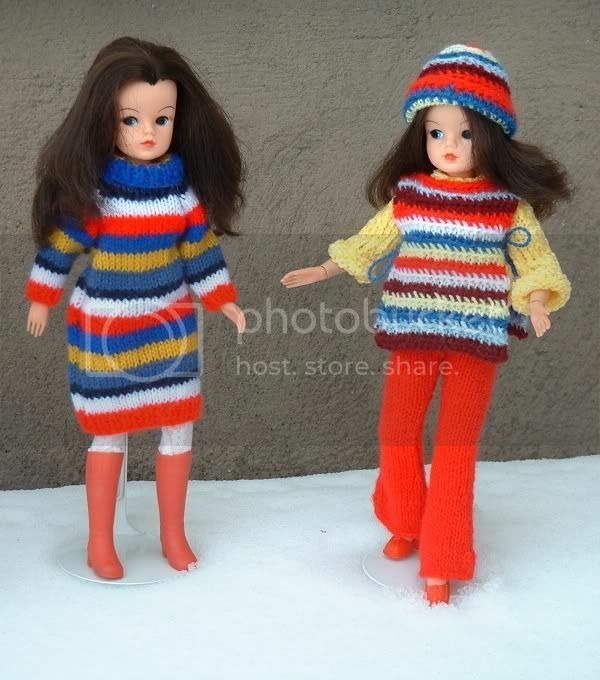 So many of Sindy's original vintage outfits are now very rare and hard to find. When they come up for sale on Ebay they usually go for more than I can afford. So, I decided to have a go at making knitted replicas of some of these elusive outfits. 1971 Trendy Girl's original outfit. Very hard to find 1960's Mamselle Miss Cortina outfit. 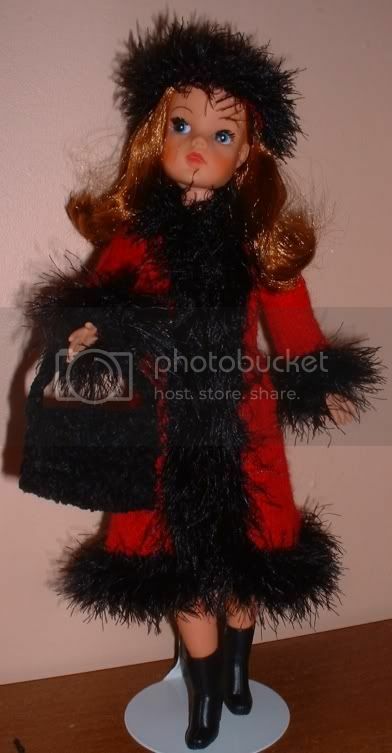 Sindy wears her two tone frock from 1969.